There is a large landscape park around the restored building with a rotunda and a high stone bridge. Alongside the mansion is the old granary of the estate. It offers the exhibition “Latvians and their Masters,” which focuses on the lifestyle of Latvian farmers and craftspeople. The museum offers exhibitions, theatrical tours and events, classical music concerts, as well as educational programs focused on the local cultural and historical environment. 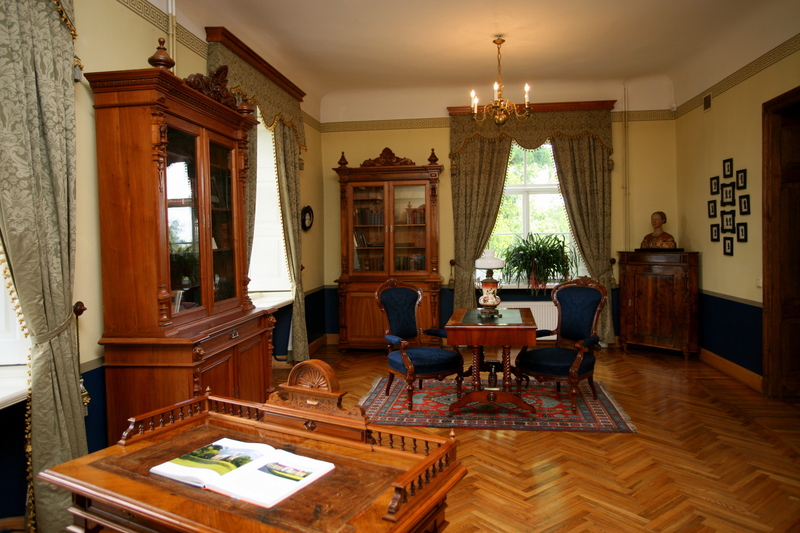 Durbe Manor in Tukums is seen as one of the true jewels of Classicist architecture in Kurzeme. 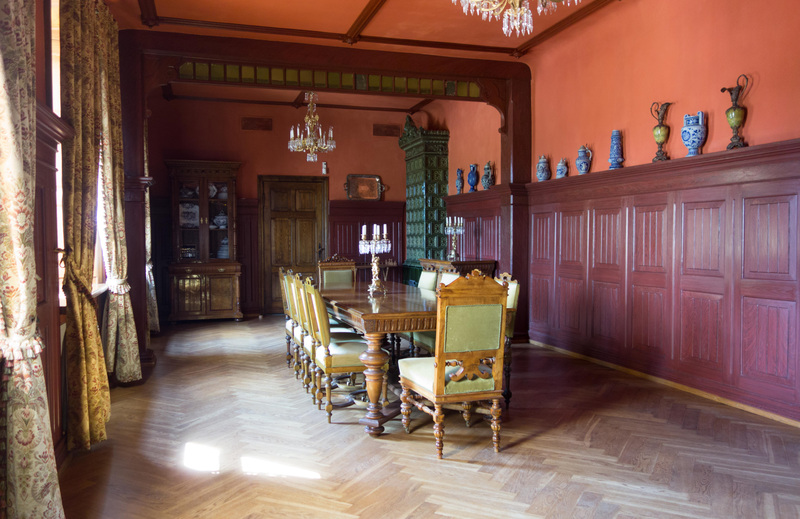 It is the only baronial mansion that was built long ago in which the late 19th century and early 20th century was reconstructed so as to create an idea about Baltic German culture. 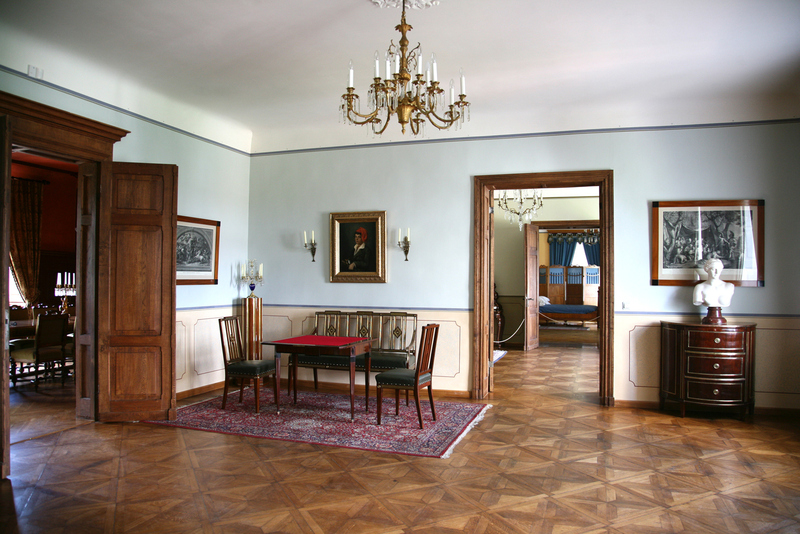 The interior of the mansion reflects colour systems and arrangement principles that are based on Classicism, as well as neo-styles such as neo-Classicism and neo-Renaissance. Visitors can look at engravings, paintings, sculptures, furniture and other interior design objects which reflect the 19th century trend of reproducing various art styles from the past.